Before start the steps below, make sure you have save the picture on your computer and located at specific folder. 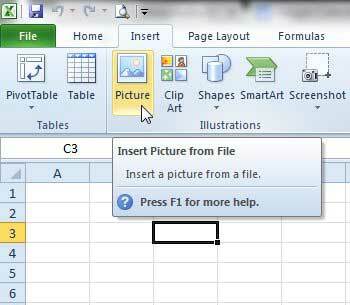 Launch spreadsheet and select the cell into which you want to paste the picture. Browse to the picture from your computer that you want add to spreadsheet, select it, and then click the “Insert” button. 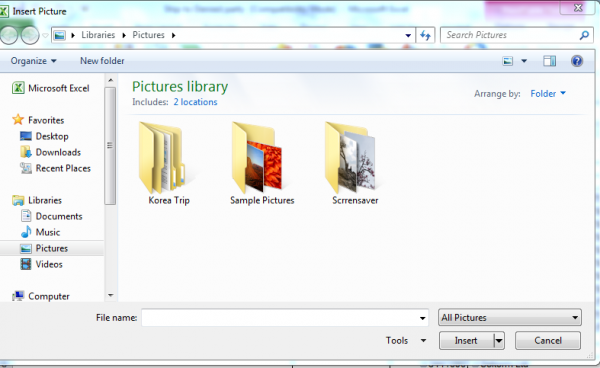 Inside the setting, scroll till down and click “Properties” in the column at the left side of the Format Picture window. 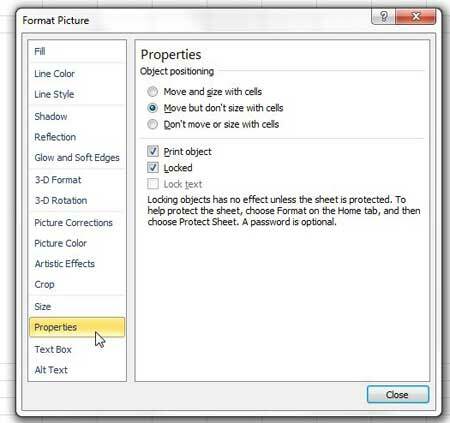 Check the option to the left of “Move and size with cells” then click the Close button.